Whenever the skies are clear and the sun shines bright, we always seem to be in the mood to experiment with makeup looks. 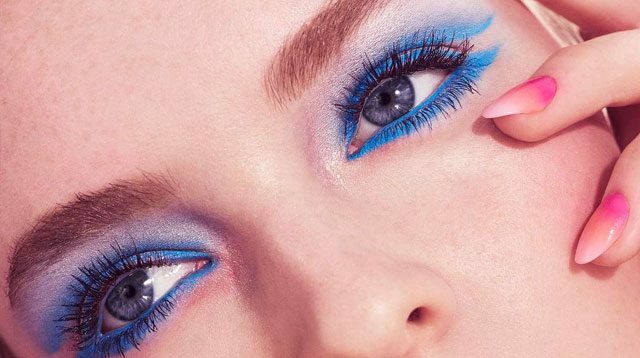 That's why most women (and men) play up their eye colors during summer—the glaring sun emphasizes bold hues and makes them glow like nothing else. Now that the temperatures are rising, are you ready to amp up your makeup game, CGs? Here are the prettiest colors you can wear for the season! Reminiscent of angels and nymphs, lavender is always a popular shade to sport during hot summer days. It will add a soft sheen and delicate pop to your peepers, and will turn heads wherever you go. Magical and party-ready, blue will bring out the brown tones of your eyes. Gone are the days when wearing pink on the eyes was taboo. The options are endless this season: from cut crease to smoky, cat eye to ombré! From beautiful sunsets to zesty lemons, yellow is one of the most beautiful eyeshadow or eyeliner shades to wear. Tip: Wear it over a thick black feline flick for an extra glam look on nights out! Gold is a timeless color, but give it a metallic finish or mix it up with a hint of red, and you've got a makeup game-changer. No summer is complete without orange. This juicy hue just understands what summer fun is all about. However, we advise you to go for matte formulas: They'll stay on longer and look bolder.